Looking for a Valentine’s Day getaway that grabs you and yells “ROMANCE”? 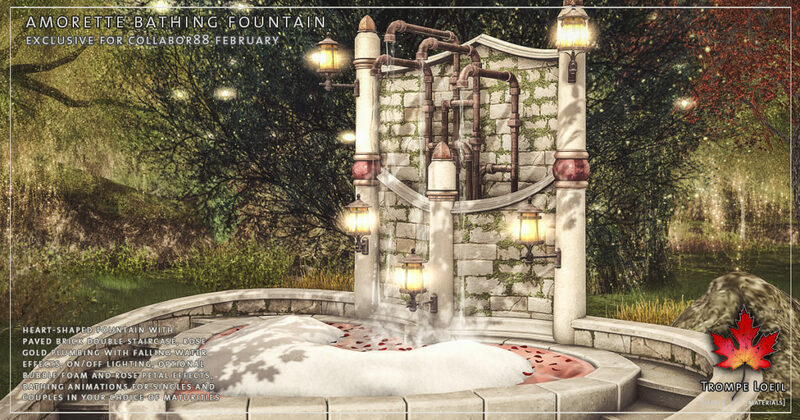 Trompe Loeil has your pinkest, frothiest romantic fantasy – the Amorette Bathing Fountain for Collabor88 February! 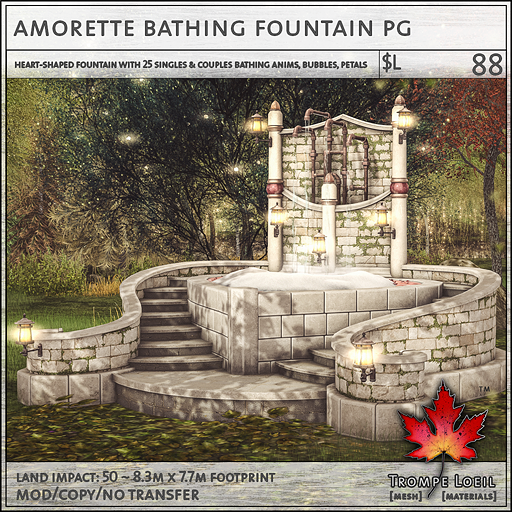 The Amorette Bathing Fountain is a heart-shaped hammered rose metal pool basin, nestled in a tastefully mossy brick encasement, with wraparound dual staircases and rose gold plumbing fountain pipes that feature gently running water streams. 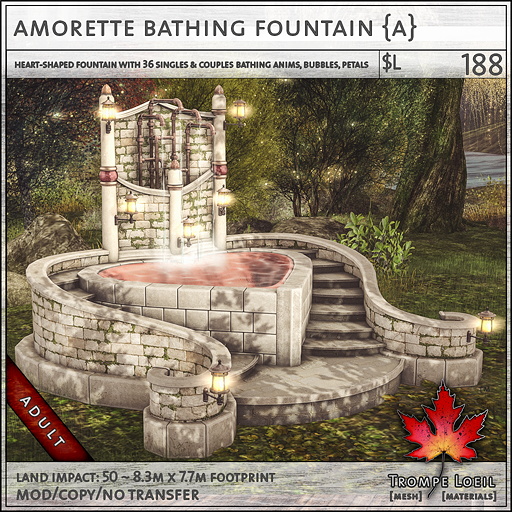 Click the pool for optional rose petals and bubble foam effects! Animated for singles and couples with bathing and cuddling (and more) animations, in your choice of maturities. 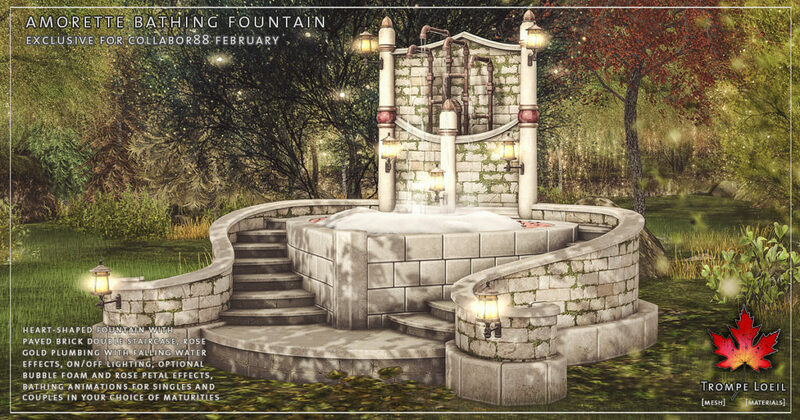 A fabulous backyard focal point, or perfect for that special honeymoon or anniversary spot as well! 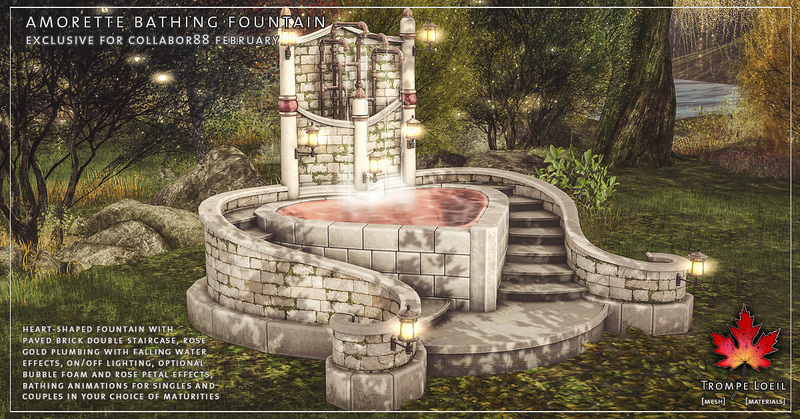 Now at great Collabor88 pricing through February!